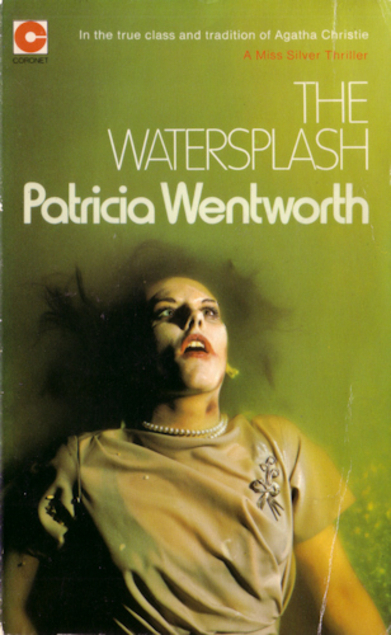 The Watersplash by Patricia Wentworth was first published in 1954 and it’s a Miss Silver mystery. Wentworth is so skilled at conjuring up the atmosphere of a small English village, and the way that so many of the inhabitants are linked to each other – by blood, marriage and extended family friendships. Throw in a local telephone system where everybody has a party line and can listen in to their neighbour’s conversations and a huge capacity for gossip as a way of brightening up what is generally a boringly quiet life and you have a good recipe for a mystery. Edward Random has just returned home to Greenings after a five year absence during which time his father (the local squire) believed him to be dead. Edward’s father had changed his will in favour of his brother Arnold, so his nose was very much out of joint when he realised his nephew was still alive. Everyone expects Arnold to give up his inheritance to Edward, but he has no intention of doing that, in fact he won’t have anything to do with his nephew. Rumours abound – what has Edward been up to during his five years of absence? When there’s a murder in the village Miss Silver is asked to investigate. Luckily she had already been invited to stay at Greenings by the daughter of an old friend and it’s not long before she’s getting submerged in everybody’s business. Whilst she knits a succession of pale pink baby vests she gets to the bottom of it all satisfactorily. I had a fair idea who the perpetrator was but that didn’t detract from my enjoyment. I really think I prefer Miss Silver to Miss Marple. I believe the two characters were ‘born’ in the same year. 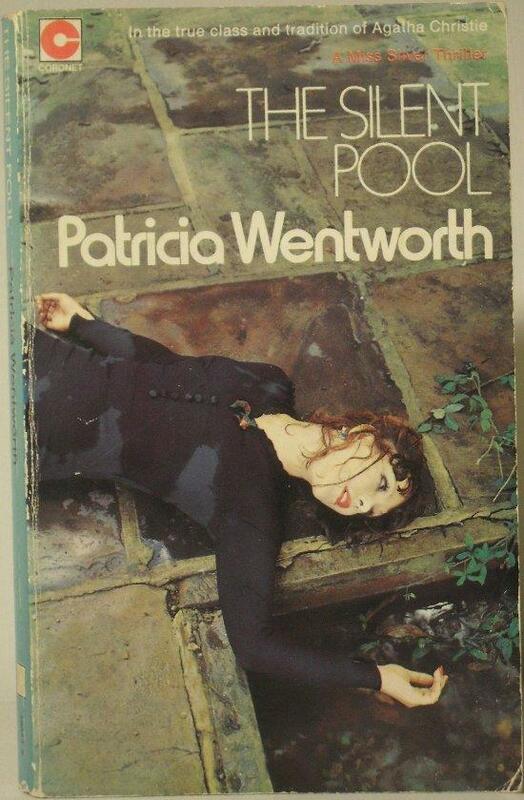 Patricia Wentworth just seems to have been unfortunate that Agatha Christie’s books were much more of a commercial success. 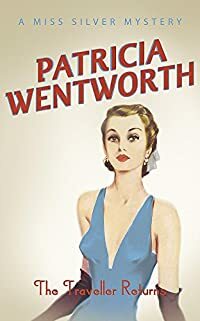 Maybe Patricia Wentworth should have indulged herself with some sort of adventure that was taken up by the tabloid newspapers the way Christie did! I’ve read and enjoyed a lot of Patricia Wentworth’s Miss Silver books but Rolling Stone (first published in 1940) is the first book that I’ve read of hers which isn’t a Miss Silver mystery. I was on a ferry sailing to Belgium when I started reading this one and coincidentally Rolling Stone begins in Belgium. Peter Talbot has just booked into a hotel in Brussels and he realises that the man in the room next to his is in a very bad way. Spike Reilly is feverish and delirious and it’s obvious that he’s dying. Peter Talbot is intrigued by some of the things he has heard him say and despite the fact that he is on an assignment for his uncle – Frank Garrett of the Foreign Office – on the spur of the moment Peter decides to change identity with Reilly, swapping over passports and following clues that lead to a grand country house in England where a painting is stolen. More crimes pile up and the search for Maud Millicent Simpson – England’s most deadly woman – is on. The only problem is that as she’s a master/mistress of disguise, nobody knows what she looks like. 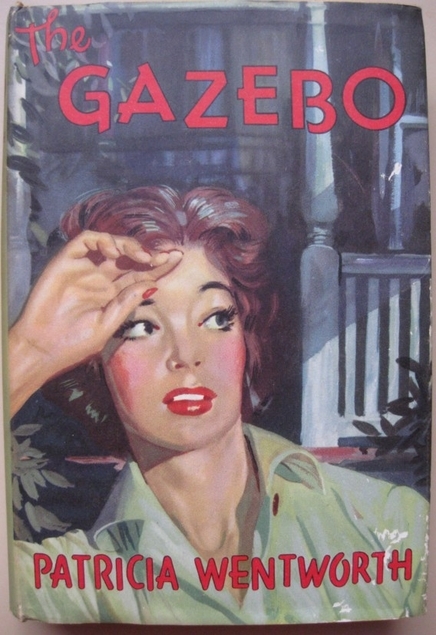 The Gazebo by Patricia Wentworth was first published in 1958 and my copy was published that year and even has the dust jacket – what a find! I really enjoyed this one although the murder does take quite a while to take place. Althea Graham is a woman in her mid twenties and she is at her ghastly mother’s beck and call all day every day. Her mother is supremely self-centred and is determined to keep her daughter at home running around after her mother who has a ‘heart attack’ every time it looks like she might not get her way about something. Five years previously Althea had been all set to get married but her mother had put a stop to it. Now her ex-fiance is back, but it looks like life is never going to be easy for them, with murder and mystery blighting their future. Luckily Althea is able to contact Miss Silver, they are connected loosely through an old friend. She’s the equivalent of the cavalry riding to your aid! AND she does it all whilst knitting a pink vest for a baby girl. 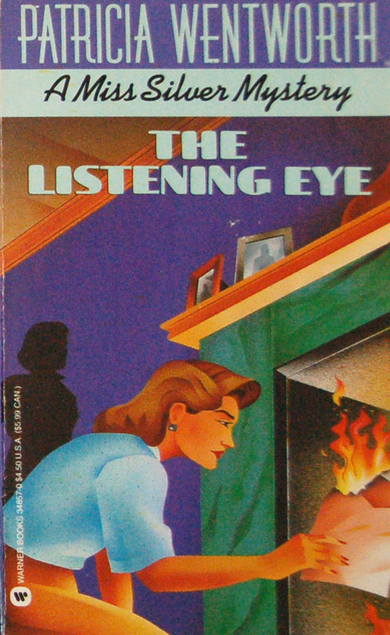 The Listening Eye by Patricia Wentworth is a Miss Silver mystery and it was first published in 1957. Miss Paulina Paine is 57 years old and she has been stone deaf ever since a bomb fell very close to her during the war. Paulina taught herself lip-reading very successfully and she hopes it isn’t obvious to people that she is deaf. However, one of her lodgers is an artist and he has painted her portrait which is being exhibited in a gallery. The artist has titled the portrait The Listener and Paulina has to admit to herself that he has captured an expression on her face that she recognises. Whilst at the exhibition Paulina lip reads a man who is standing quite far away from her, he thinks that his conversation will be private, never suspecting that a lip-reader was ‘eavesdropping’ on him. Paulina is aghast at what he has said and quickly leaves the gallery, but when a gallery worker mentions to the man that Paulina is a marvellous lip-reader it puts Paulina’s life at risk. She has inadvertently obtained dangerous information. As it happens Paulina has a loose connection with Miss Silver and she goes to ask her advice on what she has ‘overheard’. So begins Miss Silver’s involvement in the investigation. As ever I don’t want to say too much about this one as I don’t want to spoil it for any possible readers, but it’s a good mystery and Miss Silver sorts it all out, whilst knitting a pale blue shawl, multi tasking with class. I have been getting quite a bit of reading done, despite the DIY obviously taking up a lot of time. I read The Brading Collection by Patricia Wentworth, it was first published in 1952 and is a Miss Silver thriller. Lewis Brading is a wealthy man who has amassed a large collection of famous jewellery. Famous in that the pieces have often played a part in history, such as the wearer having been murdered whilst wearing a brooch, or there is a supposed curse on something. Brading has been quite happy to acquire the pieces nefariously over the years and perhaps that it why he is so worried about his collection being stolen. Brading has a secretary, James Moberley and he doesn’t trust him, but at the same time he seems to be stopping Moberley from leaving his job. Miss Silver declines to help Brading but circumstances soon change and Miss Silver ends up investigating. I enjoyed this one and am becoming more attached to Miss Silver with each book I read. Tom Brown’s Body by Gladys Mitchell was first published in 1949. The setting is a boarding school called Spey College. The schoolboys play a large part in the book, they seem to be quite out of control and two of them leave their rooms and go jaunting about during the night on bikes, planning to go to watch a dog race. They get completely lost in the darkness and eventually find a cottage with lights on, but they see one of their masters through the window and are worried that he has recognised them. Meanwhile Mrs Bradley has been looking into her family tree and has discovered that one of her ancestresses was a witch in the 17th century. An expert on such things has told Mrs Bradley that there is an old white witch who may be in possession of Mrs Bradley’s relative’s ancient spell book. Of course the modern day witch is living near the boarding school and when one of the schoolmasters is murdered Miss Bradley gets involved. There’s no scarcity of suspects as Mr Conway – the victim, is such a nasty character, there are plenty of people who would have been glad to be rid of him. I enjoyed this one but not as much as The Brading Collection. I’m not drawn to Miss Bradley as a character and as ever I’m left wondering why Mitchell made her so unappealing. She is described as being lizard-like or sometimes yellow skinned with claw-like nails. The actual mystery is quite good though. I read these two for the Reading My Own Damn Books Challenge. Two down,, but who knows how many still to read – not me anyway! The Catherine-Wheel by Patrcia Wentworth was first published in 1951 and it’s a Miss Silver mystery. Jacob Taverner is getting on in years and despite the fact that he resembles a tramp in looks he is in fact rather well off. He has no children of his own and his family is not a close one as a generation ago there had been a big family split over money, with the result that the cousins are all strangers to each other. Jacob decides to put an advert in a newspaper asking for descendants of his grandfather to come forward, and several do. It’s arranged that they will all meet up in an old inn called The Catherine-Wheel which had been owned by Taverners in the past, in fact it still is owned by Jacob, he had leased it out over the years and the lease had recently run out. The inn had been a well known haunt of smugglers in the past and it seems that Jacob is hoping to glean information from his cousins about the location of a secret passage. He’s hoping that their grandparents will have talked to them about it. Jacob’s advert has drawn the interest of the police and they manage to place Miss Silver in the inn as a guest, if there’s anything shady going on she’ll sniff it out. Sure enough it’s not too long before a murder is committed and Miss Silver is in her element solving the puzzle before the detectives do. Of course she manages to blithely sort it all out whilst knitting a blue dress and matching knickers for her two year old great niece Josephine. This was a good mystery which kept me guessing. For some reason Wentworth has Miss Silver coughing before she spoke, in fact there were so many ‘Miss Silver coughed’s in the book that I began to wish that someone would give her some Benylin or Covonia, or better still honey and lemon. All of the men in this book are ghastly in some way, bullying, domineering control freaks who seem to think that it’s their business to order the womenfolk around, be they wives, cousins or sisters. If I had been Miss Silver I would definitely have been thinking – thank goodness I never bothered to get married. I haven’t read anything by Ann Granger before but the librarian likes her writing, nor have I read anything by Alan Bennett, but I’ve enjoyed his work on TV. Scotland’s Hidden History by Ian Armit is the only non-fiction book and it’s about the many Neolithic tombs, stone circles, brochs, hillforts, standing stones, Viking graves and such which are scattered all over Scotland. I intend to read them all, it seems like cheating to take books out of the libraries and not read them – just to put the reader statistics up – but at this rate I’ll definitely have to stop buying books as my own unread books just keep piling up! Have you read any of these book and if so what did you think of them? PS. If you want to see photographs of the Falls of Dochart which we visited with Peggy and Evee in May then hop over to Jack’s blog. 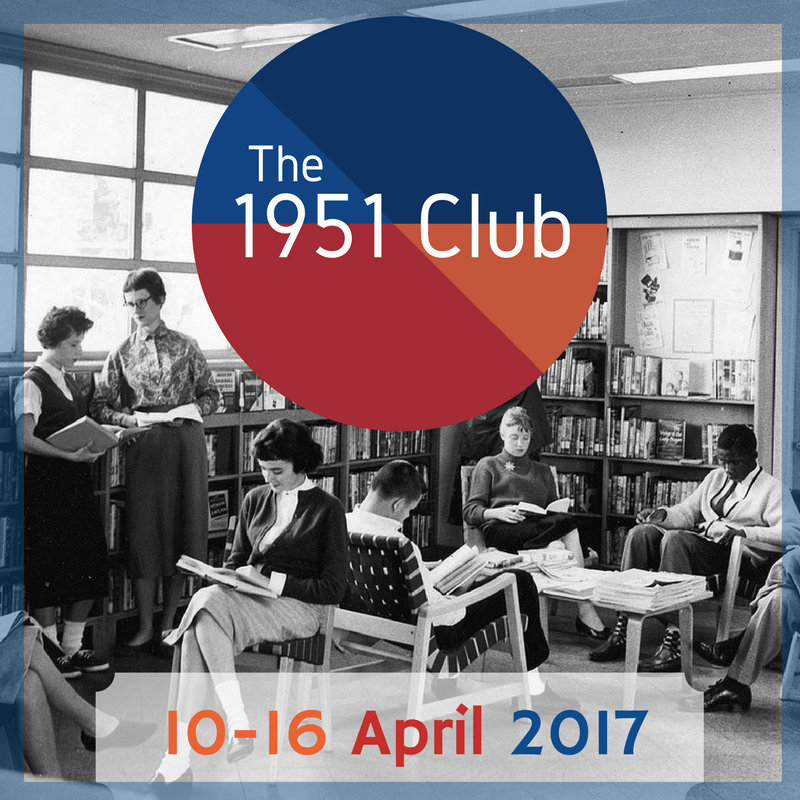 The Silent Pool by Patricia Wentworth was first published in 1956 and it’s one of the many books which Peggy brought me from the US. It’s a Miss Silver mystery and of course she’s never far from her knitting needles and wool. In fact I’ve come to realise that Miss Silver’s knitting fulfills the same function as Mr Harding’s cello in Trollope’s Barchester books, it’s a way of relaxing and de-stressing, an aid to concentrating on a problem. Miss Silver is visited by a retired actress Adriana Ford, she suspects that someone in her household is trying to murder her. Adriana suffers from ill health and she has several members of her extended family living with her. They all rely on Adriana for a roof over their head, she’s financing all of them and they know that she has left them money in her will. It seems that one or more of them want to get their hands on the money sooner rather than later. This was an enjoyable mystery and I didn’t guess who the culprit was. There are a fair few ghastly characters in the book, which can sometimes be a problem for me as I have no real wish to spend my time with people I really don’t like. It was saved by a couple of really likeable characters though. I’ll be reading more by Patricia Wentworth in the future.